Legendary of F3C designed by Kurokawa Yoshihide! Black Shark 바디의 오리지널 설계자인 일본 KUROKAWA상이 설계, 아울러 F3C계의 전설 - Team ALIGN 소속의 MANABU HASHIMOTO 선수가 Test 및 감수를 한 World Top Class Black Shark III 경기용 Full 바디입니다. ALIGN 800 F3C 경기용 바디는 T-Rex760 및 T-Rex 800에 최적화된 Floating 방식의 Mount 및 전용 Tail case, 그리고 전용 랜딩 스키드 및 공구류와 함께 공급이 됩니다. 제품의 박스 크기가 일반 배송이 불가능한 관계로 주문시 익일 화물택배(착불)로 발송되므로 이점 양지말씀 드립니다. Special Thanks to MANABU HASHIMOTO! ●Must with 800E Tail Boom Mount(H80T001XXW) / 800E Metal Tail Torque Tube Unit(H80T003XXW) / 800E Carbon Fiber Tail Boom Set(H80T005XXW) / 800E Carbon Tail Control Rod Assembly(H80T006XXW) / 800E Tail Control Guide(H80T009XXW) / 800E Torque Tube(H80T011XXW). 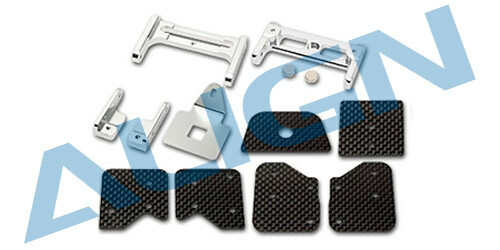 ●Suitable for T-Rex 800E F3C / T-Rex 700E / T-Rex 760E F3C upgrade. 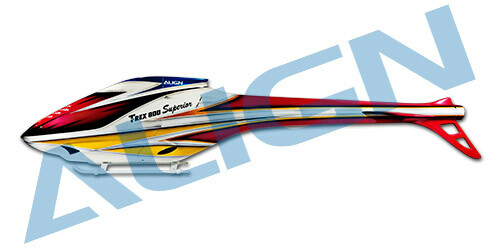 ●The 800 F3C fuselage is designed specifically for T-Rex 700E F3C upgrade to 800 series in competitions. Contrary to other older fuselage designs where assembly and fitting can be difficult, this fuselage can be assembled easily and quickly with the included hardware. ●The aerodynamic lines of the shark shaped minimizes wind resistance, while stabilizing the helicopter during F3C flight routines and advancing the great performance of T-Rex 700E F3C even higher, achieving total dominance in class P and F of F3C. Custom designed floating fuselage mounting system effectively reduce helicopter vibration and minimize resonance effect; The light weight fiberglass and carbon fiber construction weights only 520g, maintaining the optimal power to weight ratio of the helicopter; Colorful paint scheme ideal for visibility while in the air; Unique quick release design of the fuselage for battery access with removal of just 4 screws; Finally, a low CG landing gear system not only reduce wind resistance during flight, but also contributes to the extraordinary style. 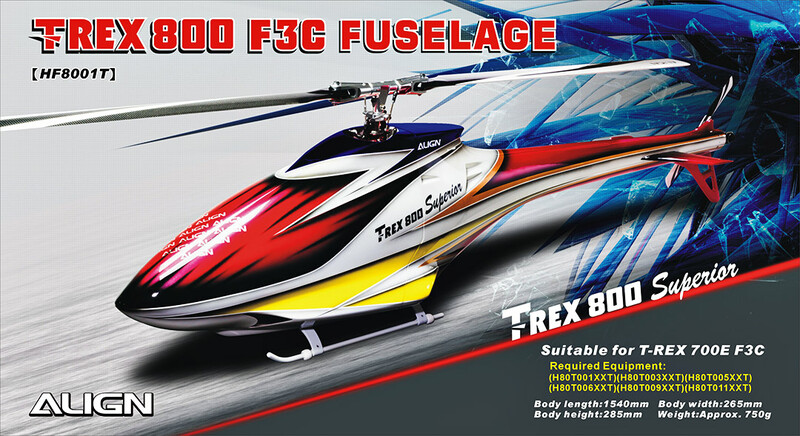 This classical fuselage is not to be missed for those who owns a T-Rex 700E. ●Designed specifically for F3C competitions. ●Unique shark shape which minimizes wind resistance for F3C flight and stabilize the helicopter, allows contestants to excel in static maneuvers as well as superior tracking performance, achieving total dominance of P and F classes in F3C competitions. ●Floating fuselage mounting design to effectively minimize vibration and resonance, achieving even more stable flight. ●Fiberglass and carbon fiber construction to bring the weight down to mere 520g. 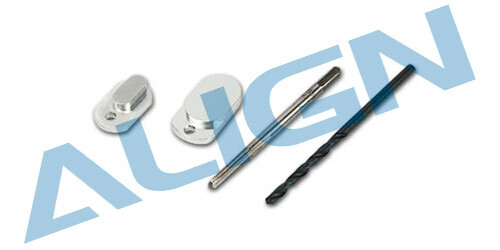 Equipped with complete hardware for ease of assembly. ●Dedicated low CG landing gear painted in white color, minimizing wind resistance during flight and stabilizing helicopter landing. 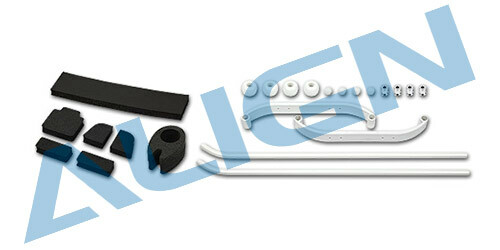 ●Quick fuselage removal design, battery access is achieve with removal of only 4 screws. ●Colorful paint scheme with 3D elements for optimal visibility during flight. [ALIGN] 800 Aerial Fuselage(CQB) - 한정특가!